There are quite a few different styles and methods of Silat Groundfighting and a few of them are against a Standing Attacker. In Clear’s Silat beginning Phase I program we start out by showing how someone with very little training can be formidable using a specific method of Silat Groundfighting against a Standing Attacker. There are a few essential basics that one should know in order to be functionally effective in this kind of situation. I will list those essentials here. At any time in a fight you can end up on the ground or find yourself going to the ground. This may be due to the attacker doing something or trying to do something but it can also be due to an uneven or slippery surface such as dirt or a wet and slick wooden floor. Do not struggle against going to the ground. If you find yourself falling or in danger of being taken down then immediately choose to go to the ground. Go to the ground as if you had planned on it and use the act of going to the ground to your complete advantage. 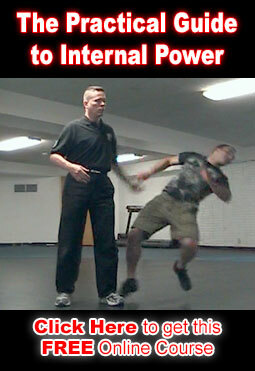 Often this will surprise the attacker and allow you an opportunity to take them out right then and there. Once you are on the ground stay coiled like a rattle snake for mobility and striking power. Use your legs as the primary striking tool. Fight with the intention to break your attackers legs. Get up as soon as you can without risking your safety in the process. More on Clear’s Silat Groundfighting Techniques next time.